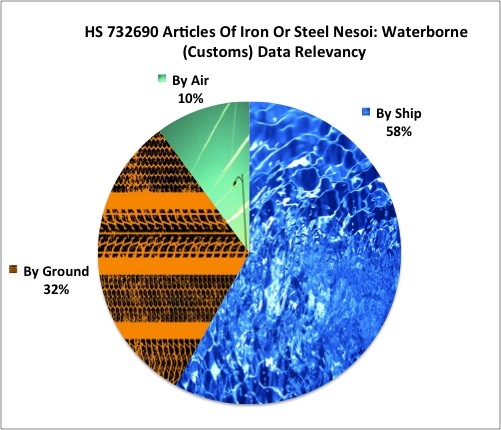 The following report will summarize the top U.S. suppliers, methods of transport, receiving ports and destination states for HS 732690 MISC. IRON & STEEL ARTICLES. Furthermore, historical import trends, global market size, and product hierarchy will provide contextual understanding. U.S. Customs data can provide transactional details on about 80 -85% of the waterborne imports of this product. 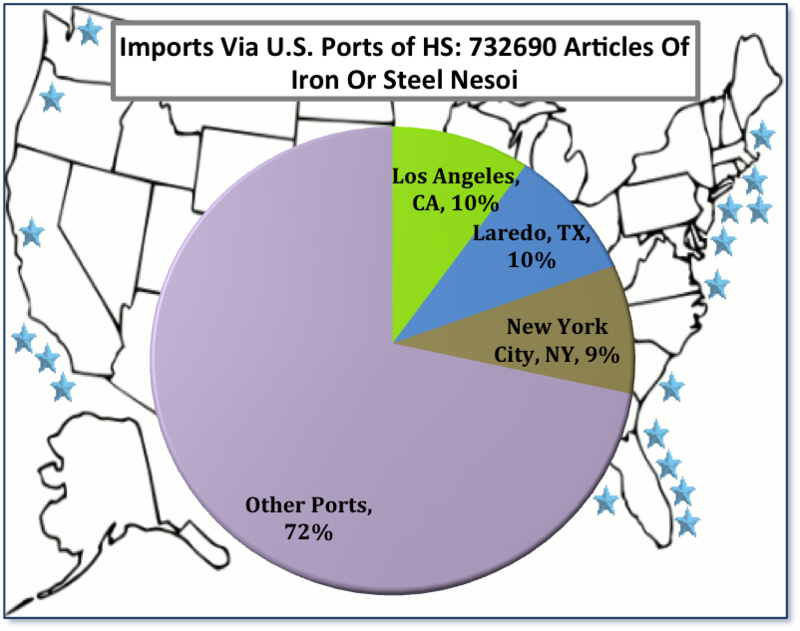 Information about the foreign suppliers and U.S. importers of HS 732690 MISC. IRON & STEEL ARTICLES as well as many logistical details are assimilated on a daily basis. Contact us for purchasing options. HS 732690 MISC. 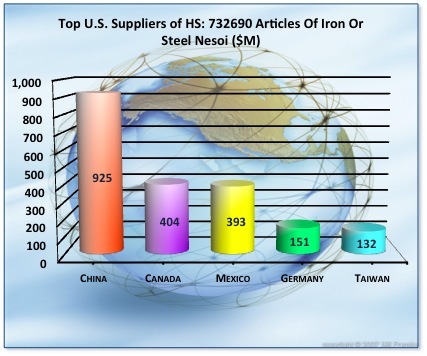 IRON & STEEL ARTICLES: Top five U.S. suppliers. USD million in imports. HS 732690 MISC. IRON & STEEL ARTICLES; method of transport. Note the waterborne (ship) percentage. 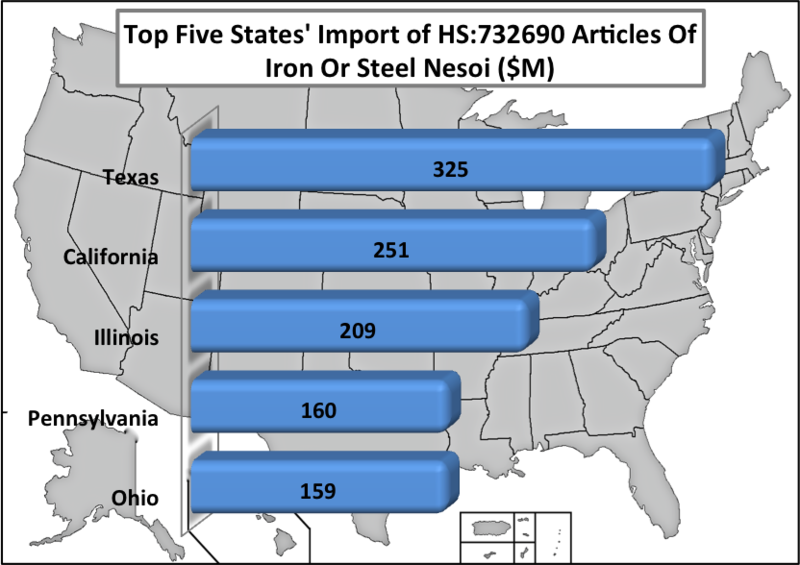 Top five U.S. destination states for imports of HS 732690 MISC. 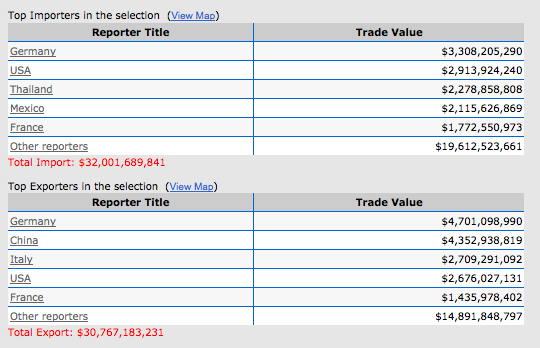 IRON & STEEL ARTICLESin USD million. U.S. Waterborne Import Trade (WIT) Report. HS Code: 732690 MISC. 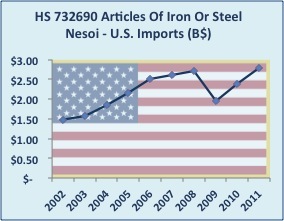 IRON & STEEL ARTICLES©WorldTradeDaily.com® All rights reserved. Robert Thompson, Editor-in-Chief. Louisa Avery, Editor. Isaac Thompson, Research Writer.